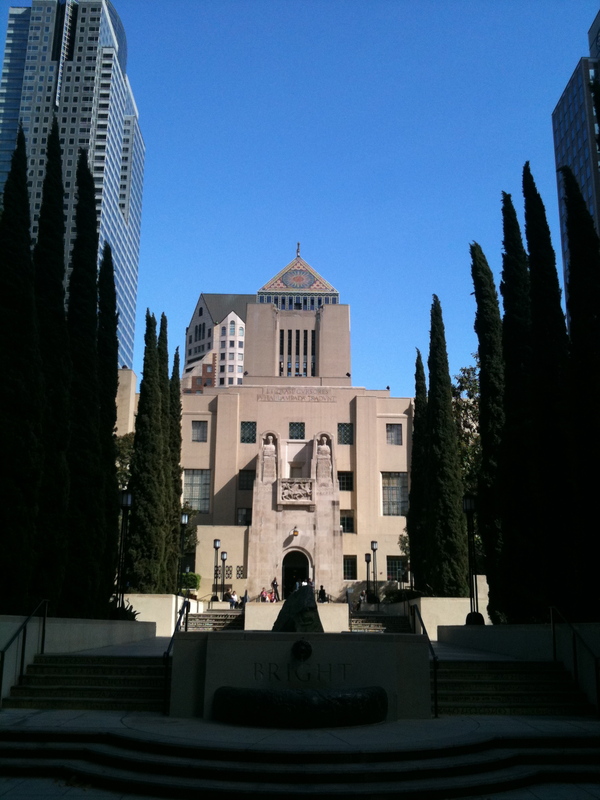 This past weekend I went to the LA Public Library for the first time. The few times I have walked past it before (wide-eyed and drooling), it has been closed. But just the building itself is amazing: it has stone busts of the great writers on each side, a mosaic dome, and the famous “torch of knowledge” at the very top. And the inside was not disappointing. In fact, it is way bigger on the inside than it looks. I didn’t explore much on Saturday, but the library did provide an excellent location for reviewing submissions to Biola’s literary magazine (we just finished selecting what goes in to this spring’s issue… exciting!). I hope to go back and explore one day soon, because libraries are probably my favorite indoor spaces in the world. Though I have not yet gotten the privilege to work in a library, it is not for lack of effort. Granted, I have only really applied to work at two, but still. I’ve even been so desperate as to “borrow” a friend’s employee identification badge and shelve books for a half hour…it was just as great as I imagined. When I was hired by Barnes & Noble the summer after I graduated high school, I thought I had finally gotten my big book-shelving break, but no. I worked at the café. Though that wasn’t the worst job in the world (I got all the whipped cream I could eat), I never did reach the promised land: the book side. And to rub salt in the wound, literally two weeks before I was set to leave for my 6-month trip to England, my manager asked if I wanted to be trained for the book side. For a second, I actually thought about not getting on my flight to England. The Bodleian Library. What can I say, it was like a dream. (Sorry for the poor quality photo…I was too star-struck to care about composition). 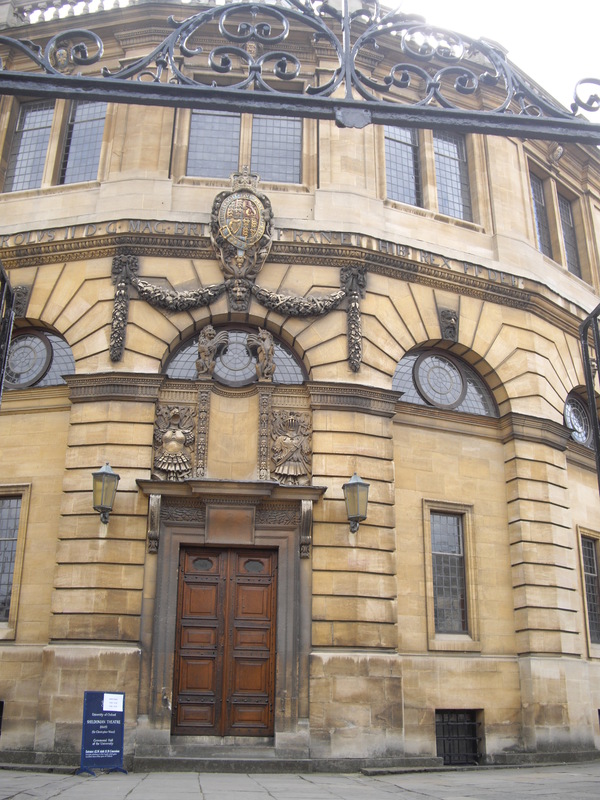 The Bodleian is Oxford University’s main research library, and my favorite library in the world. One of the coolest parts of my visit was seeing the “Lamson tube system” in action…our tour guide requested a book from the New Bodleian building across the street, and it was sent within minutes via an underground tube system! I just now looked it up because I had forgotten the name, and Wikipedia (quality research, I know) informed me that the tube system, which had been around since the 1940s, was turned off just two months after I visited, and then shut down permanently in August 2010. I blame the Kindle.